The 2018/19 Sapphire Series kicked off on Saturday, while Week Five of BUCS may have seen a good number of fixtures drop from the slate, but more than enough football remained for some awesome showdowns! But who came off best from this weekends matchups? The Brunel Burners are surely now locked in as favourites for the 1A South Crown after a dominant 0-40 victory over last year’s champs, Kingston. A week Seven showdown against the Reading Knights is all that stands between the Burners and entering the Christmas break 5-0! Similarly, a statement shutout victory for the Edinburgh Predators moves them into pole position in the 2A Borders. They’ll return sharpish from midseason to take on the Jaguars in Rain Week, and then highlight their contest against the York Centurions in your calendars as a potential title-decider in late January! The KCL Regents have ensured things are gonna stay interesting all season long in the 2A South, as their 2-14 win over the Royal Holloway Bears means the Regents, Bears and Saxons currently all over overlapping head to heads! And the MMU Eagles moved clear of the pack in the 2A Midlands with a late flurry of scores that gave them a 20-0 win over the Lincon Colonials. 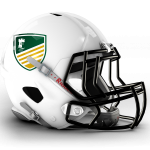 Tied 0-0 at the half, the Eagles took flight late in the game, and having already bested the stampeding Staffordshire Stallions in Week Three, have what many would view as the softer half of their schedule waiting for them on the other side of Christmas. The Edinburgh Wolves impressed in the opening weekend of Sapphire, with two big wins over the Titans and Pirates in the D1 North, while in the D2 South it was the Wembley Stallions who got off to a fast start with high-scoring victories over the Valkyries and Saints. The Leeds Carnegie Chargers raced out to big leads in both their matchups during the opening weekend of the new-format Sapphire Series, posting up 87-0 and 0-57 victories over the Titans and Pirates respectively! Could another undefeated regular series be in the making? Their strongest challenger so far looks to be the Wolves, who also kicked off their campaign undefeated through the opening fixtures. Similarly, in the south, it was a statement start from the London Warriors who made short work of both the Hertfordshire Tornadoes and newly-promoted Sandwell Steelers. Having played second-fiddle to the Birmingham Lions for the past two series, the London side’s strong start has turned heads, and they’ll have a lot of time to potentially continue building up momentum – London and the Lions not set to meet until Tournament Three, in the new year! Nottingham’s ideal start to their time in the top tier continued apace as they fought their way to a narrow victory over the Stirling Clansmen on Sunday. It was the team’s first trip north of the wall in quite some time, and though the Clansmen’s defence continued to prove a tenacious foe, the Green and Gold offence eventually broke through for the game’s lone touchdown – edging the game 3-10 after the teams were only able to trade field goals through the first three quarters. In our Game of the Week for the middle tier, the Loughborough Students put in an impressive defensive showing as they shutdown the previously undefeated NTU Renegades to reclaim their spot atop the 1A Midlands. Having come up short against the Jets the week before, the confident performance from the longtime powerhouse programme means we currently have a complicated three-way head-to-head loop at the top of this hotly contested conference! Now this is the Warriors we’ve come to know over the years – though they initially slipped under the radar through the opening weeks of the seasons thanks to their sloppy second half of last season, the Sheffield Hallam outfit have cruised smoothly to a 3-0 start to their campaign, particularly impressing with big wins in their recent outings. Their Week Five win sets up a tasty-looking showdown against the Rams in Week Six – can Hallam head into the Christmas break undefeated at 4-0? 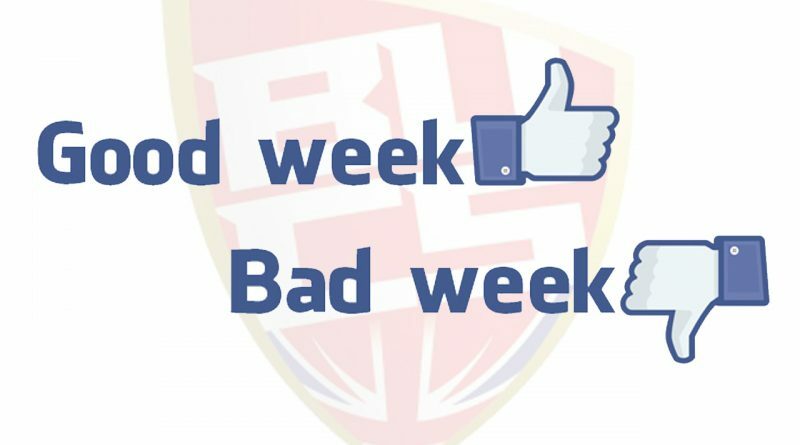 But which teams had the worst of it in Week Five?